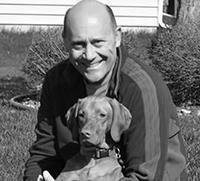 Preventative dental care helps protect your pet and catch problems before they become more serious. Since most pet dental disease occurs below the gums, it is vital that pets visit their Veterinarian and have a dental exam at least once a year. 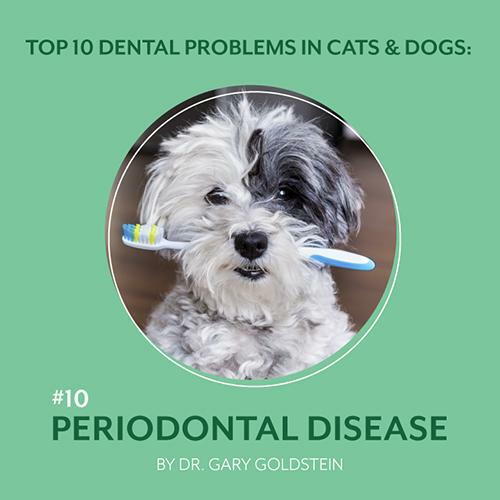 February is National Pet Dental Month and to recognize it we will be covering the Top 10 Dental Problems in Dogs and Cats over the next ten weeks. Come back every week to learn more about your pet's teeth, what to look for, how it can impact their health and easy preventative measures to help keep your pet's teeth clean and healthy. Bacterial plaque is the primary cause of gingivitis and subsequent periodontitis (disease of the supporting structures of the teeth). In the early stages, the accumulation of bacterial plaque causes an inflammatory reaction where the gums are visibly reddened, inflamed and may even bleed, known as gingivitis. If the plaque and calculus, which is predominately made up of bacteria, is not treated through regular dental cleanings, it can eventually lead to the destruction of the tissues surrounding the teeth. If you notice any redness or inflamed gums, schedule an appointment with your Veterinarian as a dental cleaning at this stage may reverse inflammation and prevent progression of periodontal disease. It is also advised that you maintain a good at home dental care program as a preventative measure. In severe cases of periodontal disease, extractions and advanced surgery may be required. Advanced periodontal disease could be running rampant, and without immediate intervention, it will progress to more serious issues such as pain, infection, teeth abscesses and eventual tooth loss. Long-term issues are also a concern as dental disease can damage internal organs, including the heart, liver, and kidneys.